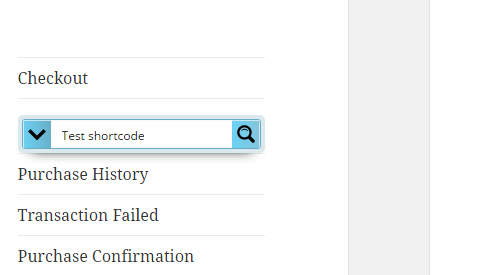 It is possible to use the search box shortcode in a menu as the title field. The menu item will be automatically replaced with the search bar. This simple guide will help you achieve that. 1) Under the Appearence -> Menus submenu open up (or create) the menu you want to edit. 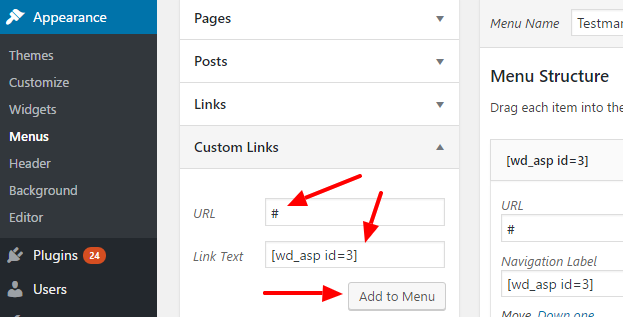 2) Click on the Custom Links item and as the URL enter anything (I used the '#' character in this example), and as the Link Text paste the search shortcode, then click the Add to Menu button. 3) That's it. The menu item is created, now you can move it like any other one. 4) Make sure to save the menu, and the search should appear as a menu item on the front-end.